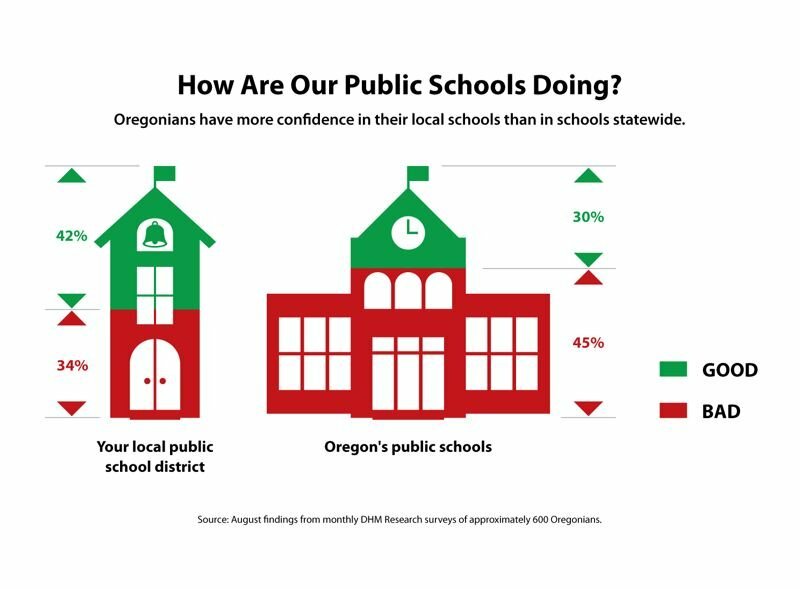 Oregonians are consistent in their desire to have great schools. Today, as in 2004, 57 percent say Oregon's K-12 system should be among the best in the country. Liberals (63 percent) are much more likely to think Oregon should have among the best schools in the nation than are conservatives (42 percent). The strongest results were: lack of direct parental support (71 percent); administrative waste and inefficiency (66 percent, with 45 percent seeing this is a very big obstacle) and lack of both qualified teachers and stable, adequate funding (each at 65 percent). 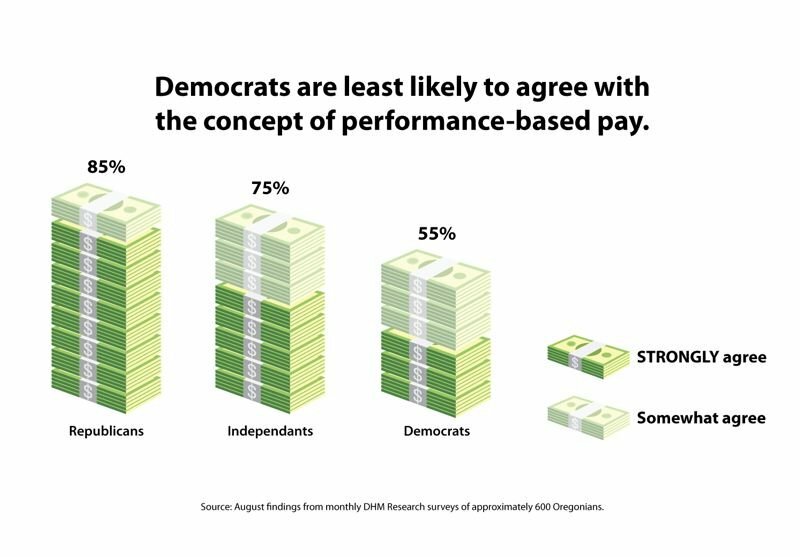 • 70 percent said teacher salaries should be based on performance, not seniority. • 69 percent said principals should be able to hire and fire teachers. • 58 percent also agree that more qualified and experienced teachers should teach in low-performing schools.